Beard Dry Oil Minis are available just in time for holiday stocking stuffing! 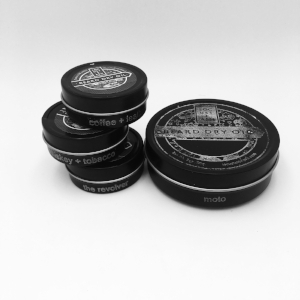 The set contains .5oz tins of Coffee + Leather, Whiskey + Tobacco, and The Revolver, my best sellers. Look for other scent combos and make your own set options SOON. And PS: the image is to show tin size comparison only.